Are you interested in updating your old single windows or double glazing in an attempt to keep warm and lower bills all at once? With Quotatis it is possible to compare as many as four companies to get the best offer Berkshire. New double glazing is among the most widely used insulation techniques homeowners can take advantage of. The basic framework is two panes of glass split up by an efficient gas spacer. This spacer, commonly Argon, Xenon or Krypton, is still so heat can't pass through and escape the property. So, heat is instead kept in the home, keeping you warmer through the year. In the same manner, during the hotter summer months heat is kept out of the house, ensuring you're cooler. Due to this, you're in a position to decrease heating bills by up to £200 each year. The environment advantages are also rewarding. As there is little need to turn up the boiler heat, less carbon dioxide emissions are created and emitted into the atmosphere. To begin benefitting from efficient house windows and reduce your heating bills yearly, complete our online form and look at prices from as many as four respectable double glazing companies. Berkshire is situated to the west of London, often referred to as a Royal county simply because it houses Windsor Castle. Having a population of more than 800,000, Berkshire is the 26th biggest area in the UK by occupants. Its small land area gives it a population density of 1,670 individuals per square mile. This population is primarily based on the east and centre of the county, with towns such as Reading, Slough, Bracknell, Windsor and Sandhurst all notable. In truth, the Reading/Wokingham area is often branded as a city in almost all but name, boasting 350,000 inhabitants. For all home enhancements you would like to take on in Berkshire, be sure to only use vetted and trustworthy businesses to ensure a high quality of work. Double glazing is an excellent purchase if you wish to lessen bills and keep your home warmer throughout the year. New home windows are ranked from G, the very least efficient, to A, the most efficient. The more efficient your house windows the more you'll save. Get the best upvc double glazing businesses in Berkshire by using Quotatis to compare quotes. 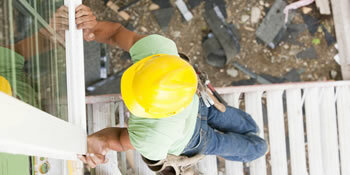 You can be certain of getting a trusted and trustworthy firm to complete the work. We noted 24,326 requests for property improvement quotes in Berkshire. Of these quotation requests the number of upvc double glazing quotations (type: A rated double glazing, new windows, replacement windows etc..) was 270. Quotatis were in a position to fit these consumers with up to 4 ideal contractors who were available for work in Berkshire at that time. Request a free home survey from reputable companies in Berkshire. There are lots of types of home around the United Kingdom for those who have diverse family sizes and annual incomes. The most popular homes is commonly terraced households and semi-detached properties, largely due to the fact they're more affordable and easier to fit into areas including cities where space has limitations. Other sorts of home in the UK include detached homes and small scale houses including bungalows and flats. It's important to add value to the house and enhancements are the best way to do this, regardless of whether it's with the installation of a conservatory or just cosmetic changes. Regardless of the work you would like completed in your property, check quotations from trustworthy businesses making use of our quick and simple service. Most properties around the United Kingdom will have a central heating system of some sort or other, whether or not it's gas, oil or perhaps a biomass fuel. If you don't have central heating, it is likely you use heaters to keep warm, powered by electrical power. Converting to main heating shall be far more efficient for your household and you can save hundreds of pounds yearly. View underneath just how many properties are central heated in Berkshire.